This movie has an incredible hype, combining people’s love of the classic Beauty and the Beast cartoon and their love of Harry Potter‘s Emma Watson. I don’t know if it’s even possible for this movie to surpass the original but I guess we’ll see! In a small French town, we meet the “odd girl” Belle (Emma Watson), who seems to only be odd because she likes to read books. She lives a quiet life with her widower father (Kevin Kline) until her father ends up getting captured by a mysterious beast-like man (Dan Stevens) in a decrepit mansion. Long story short, Belle ends up at the mansion instead, which is full of talking objects (with voices like Ian McKellen, Ewan McGregor, Emma Thompson, Stanley Tucci, and more). 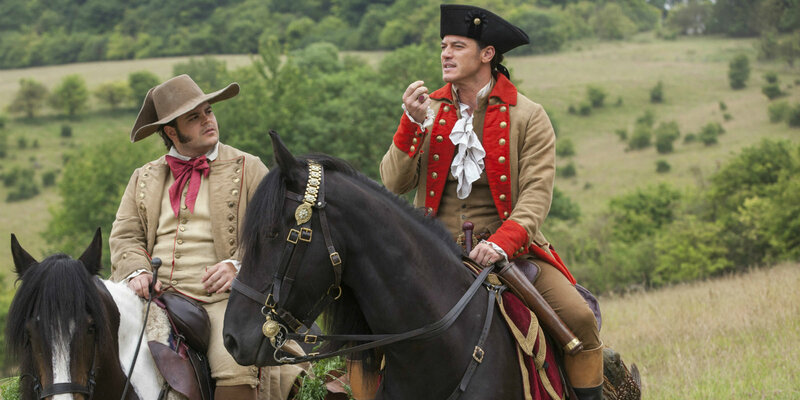 We also have the hometown hero Gaston (Luke Evans) and his sidekick LeFou (Josh Gad). This is a fine adaptation, not super disappointing, but one that you kind of wonder… Why did they make this? There is an incredible cast here and a few really stand out. First off, the duo of Luke Evans and Josh Gad is perfect, adding some levity to the movie when things tend to slow down. Their huge musical number aptly titled “Gaston” is a blast. The other duo that keeps this film afloat is Ian McKellen and Ewan McGregor as animated artifacts Cogsworth and Lumiere. They are delightful. I also want to give kudos to the set design, which usually doesn’t draw my attention. Here, the mansion comes alive. There are immaculate details in everything. The visual effects, aside from one huge component of the movie, also work seamlessly. Characters like Lumiere and Cogsworth look great. The music is hit or miss, but some of it is great. Like I said earlier, “Gaston” is great, as is “Be Our Guest.” I also got goosebumps during the first “Belle” sequence in the town. Some great stuff, but not consistently great. I’m going to break some hearts here. This movie is inferior to the original, even without the nostalgia factor. It’s hard to quantify it, but the movie lacked heart for me. There would be moments that I wanted to feel it but instead I was left rather unaffected. 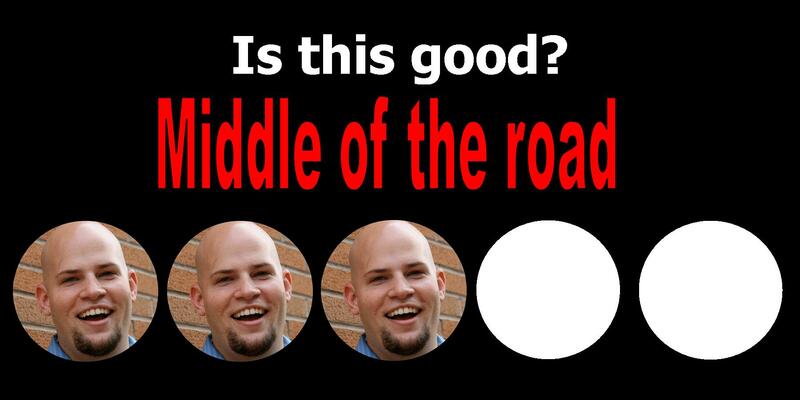 This unfortunately falls mostly on our two leads. Emma Watson delivers a performance here that is surprisingly bland. Moments of extravagance, such as the chaos of “Be Our Guest” are met by a smirk from her, absolutely lifeless. Part of this lack of engagement and chemistry falls on the Beast. I have a few problems with this character but most of it comes down to the visual effects. He looks absolutely fake, not even comparable with other characters brought to life through performance capture. He also doesn’t have any weight to him. For a lumbering brute, he dances and walks and jumps without a sense of that weight. When he is doing chaotic action scenes, his character stands out like a sore thumb. It just isn’t polished and could be a major reason that you don’t really believe the chemistry between Belle and the Beast. I also praised some of the music here, but the other half is bland as well, especially some new music created for this version. There’s a song sung by the Beast, which sounds electronic because of the effects they add to Stevens’ voice and then autotuning his voice to make it sound decent. Just doesn’t work, at all. This movie is fine but ultimately lacks the heart of the original. 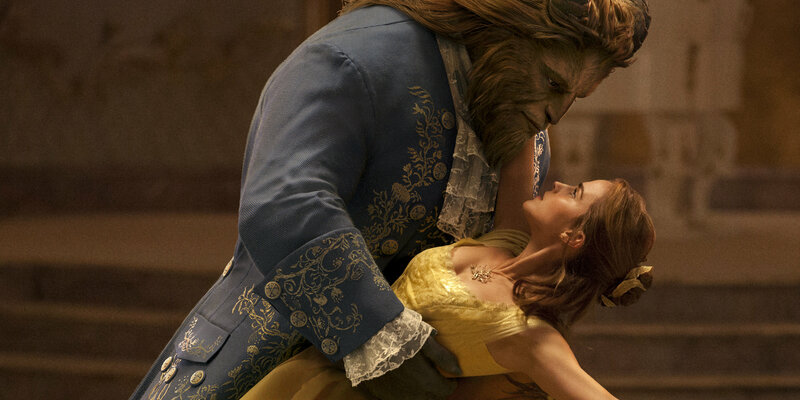 You’ll have a fun time and there are some great moments and interesting characters, but the Beast and his poor visual effects make his interactions feel lifeless and hinder Emma Watson’s chemistry with him as well. A 3 out of 5 isn’t bad remember, but this movie is nothing stellar either. This entry was posted in Movies and tagged adam ryen daniels, beast, beauty and the beast, beauty and the beast 2017, belle, dan stevens, disney, emma thompson, emma watson, ewan mcgregor, i am your target demographic, ian mckellen, iaytd, josh gad, luke evans, movie, movie review, movie reviews, movies, review, stanley tucci. Bookmark the permalink.